Anki Packers & Movers Dewas - Service Provider of packing and moving service, relocation service & industrial relocation service in Indore, Madhya Pradesh. Ankit Packers & Movers Experience, Shared With Our Specific Packing Materials, Will Provide The Best Probable Safety To Your Valued Belongings. Our Highly Skilled, Experts Packing Staff Will Arrive At Elected Time With All The Suitable Packing Materials And Get The Job Done Professionally, In A Minimum Of Time. 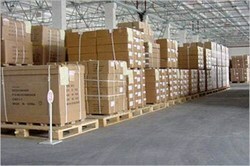 Once The Goods Have Reached The Destination Safely, Our Experts Would Unpack Them. 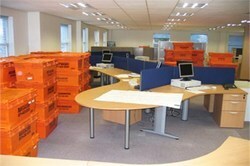 They Can Also Reorganize The Goods At Your New House/Office, If You Desire So. Since The Unloading Staff Knows How To Roll Back The Goods From The Vehicle Without Any Damage Or Destroy. Ankit Packers & Movers Relocation Services Is A Leading Full Service Provider Of Corporate And Government Relocation And Assignment Management Services To Corporate And Government Clients Throughout The World. 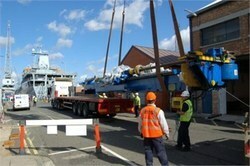 Industrial Relocation Is Often A Necessary Though Complicated Undertaking. Several Factors Are Involved Which Each Must Be Carried Out Successfully In Order To Achieve A Smooth And Fully Functioning Industrial Relocation Project. Ankit Packers & Movers offers Insurance Services of goods that include many unknown risks. Ankit Packers & Movers has specially designed Warehousing and Storage facility with accurately arrange out floor plan with fire avoidance construction, and present with high levels of security with sufficient parking facilities. Ankit Packers & Movers offers Relocating your business to a new premise creates interruption for everybody in your organization. Ankit Packers & Movers can assist you in your relocation, from the planning stages to the conclusion of the move, so that there will be negligible interruption to your work schedule. 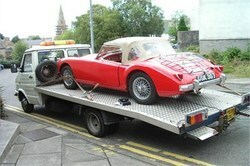 Ankit Packers & Movers Company has appointed authorized qualified to offer Car Transportation Services to our clients. Ankit Packers & Movers offers Loading and Unloading services depend on our customer’s expediency, sooner than our own easiness.